Coverage of financial reports and economic indicators. Updates on the U.S.-China trade negotiations have been progressing, but reporting on that progress has been far from transparent. On April 8th, 2019, the Congressional Research Service published a short report on "U.S.-China Trade Issues." The report continues to nail down the reasons why the economic squabble continues between the two largest nations in the world. President Trump has cited his desire to shrink the trade deficit between the United States and China. In 2018, that deficit reached the highest it's ever been at $419 billion. The report suggests that economists could explain a rising deficit not as an unfair trading relationship, but as a result of "low U.S. domestic savings relative to total investment." Of course, this could be a result of rising rates, but that trend might be temporary. The Asian Development Bank (ADB) released its most recent version of the Asian Development Outlook. The economists had a lot to say about the moderation in Asian growth; in particular, what they see as China's expectations start to get milder. For the overall region, the ADB sees growth moderating from 6.4 percent in 2018 to 6.2 percent in 2019 and 6.1 percent in 2020. As for inflation, ADB economists suggest the 10-year historical average of 3.2 percent will be undercut for the next two years with forecasted inflation around 2.5 percent (similar to the U.S. Federal Reserve's inflation target of 2.0 percent). A new Chinese economy has been a looming threat over the past few years. It has slowly drifted away towards the accelerated, variable pace of an emerging market economy to move towards a mature service based economy centered around consumption. In the World Bank's China Economic Update for December 2018. The economic data in the report shows how the change is progressing and how its reacting to the current trade dispute with the United States. The most troubling aspect of the shift is the slowing of Chinese GDP despite the gradual pace. The Chinese government already projected lower numbers for the 2019 year, but the World Bank report shows that this is no sudden adjustment. "GDP growth slowed to 6.5 year-over-year in the third quarter from 6.8 percent year-over-year in the first half of 2018 and 6.9 percent in 2017," as mentioned in the report. President Trump's protectionist trade policies have been one of his more contentious economic policies garnering resistance from critics of all political leanings. The tariff dispute between the United States and China is the most well-known consequence of these policies and has resulted in economic growth worries. The U.S. stock market sat on the brink of a full-on bear market at the end of 2018 but recovered sharply in the first two months of 2019. Observers continue to monitor negotiations between top U.S and Chinese conveys that have yet to produce a decisive trade agreement. Sometimes, history does repeat itself. However, three years in front of 2015, the economy faces the triple threat of high valuations, rising rates, and geopolitical trade tensions. First Trust Portfolio's comparison suggests the pattern could be bullish. After all, a correction happens every 18 months shedding on average 10-19%. A little deja vu might help to calm things down, but this time fundamental pressure feels heavier. The jobs report came out for July 2018, and the numbers disappointed expectations. Employment rose by 157,000, below the consensus estimates of about 190,000 for the month of July. Despite lower gains, the unemployment rate continued to fall to 3.9 percent. Total unemployed individuals fell by 284,000 and about 9,000 joined the civilian labor force for the month. More specific breakdowns include a slightly higher reduction in the unemployment of older males than the rest of the demographics. Adult males (ages 20+) saw their unemployment fall by 0.3 percent while adult women (ages 20+) saw no change in their unemployment. Teenagers (ages 16-19) saw unemployment rise by 0.5 percent being on the weaker end of the report. Alphabet (GOOGL) released on Monday, July 23rd and surprised the world with a significant beat over earnings estimates. Reported earnings per share was $11.75 beating the Wall St estimate of $9.45 and representing a year-over-year growth in income of 32 percent. Revenue came in much higher as well beating estimates of $25.6 billion by about $600 million. Many thought Google, the main arm of Alphabet, had beat the digital advertising business model to death, and therefore, the company would start to see some slowing in growth. However, that was not the case. 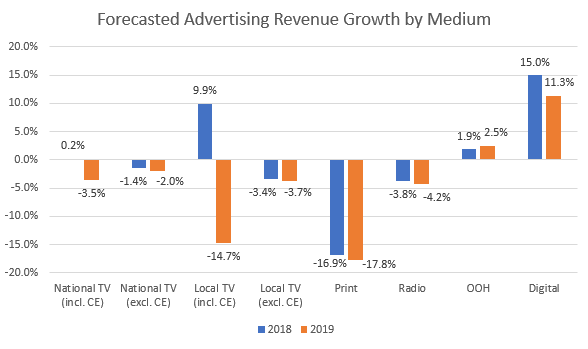 MAGNA Global releases data on the global advertising industry and, in particular, releases its seasonal updates of its “MAGNA Advertising Forecasts” that feature many key findings. The latest report was released on June 18th and would have prompted an optimistic view on Alphabet earnings if it had been read before the event. 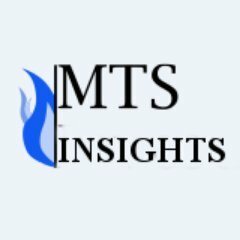 Follow us on Twitter for updates on new data and analysis daily!